SimiSodaPop | A Refreshment Of Bubbly Gossip! 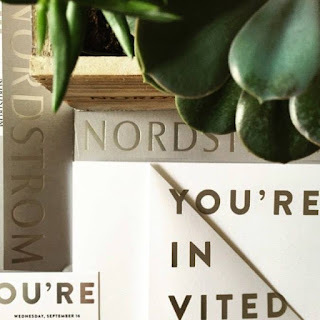 | Beauty, Fashion, Food and Entertainment: Nordstrom - Vancouver Pacific Centre - Opening Gala - Purchase your tickets today! Nordstrom - Vancouver Pacific Centre - Opening Gala - Purchase your tickets today! As many of you are excited for the Opening of Nordstrom at Vancouver Pacific Centre. They have announced a Opening Gala Special Event on September 16th! Start the evening off in style with a reception and fashion show at the Vancouver Art Gallery prior to the opening gala, which takes place just across the street at the new store. Tickets are $300 and include admission to the gala afterwards; all proceeds will benefit the BC Children's Hospital Foundation, BC Women's Hospital + Health Centre Foundation, Covenant House Vancouver and the Vancouver Art Gallery. Don't miss this exciting evening where you'll see your new Nordstrom Pacific Centre before it opens to the public. Sip cocktails, savour dinner and dessert, enjoy entertainment and shop the season's best looks. Tickets are $150; all proceeds will benefit the BC Children's Hospital Foundation, BC Women's Hospital + Health Centre Foundation, Covenant House Vancouver and the Vancouver Art Gallery. Although the store doesn't open to the public until September 18th at 9:30am. Check out what Events, Departments and Services they have here.